What is BDIX and what are the benefits of it? BDIX is an IXP (Junction) where ISPs and other data service providers gets connected among themselves. It was established in 2004. It is a not-for-profit venture of the Sustainable Development Networking Foundation (SDNF) Bangladesh. Internet Service providers used to get bandwidth from various upstream providers from various part of the world through- Submarine cable, VSAT, MicroWave Links etc. When data transmission from one ISP to another ISP was required – it used to go through the upstream providers round the world and come back to the destined ISP. I remember I had two different Internet connection in my two PC and did a traceroute – and guess what!! There were 20+ nodes it had to pass from one IP to another. This created a lot of latency. Moreover, it was a very inefficient way of communication as data from one computer had to travel half of the world to reach the other one in my next room. Some prominent ISPs in Bangladesh could well understand the fact and was eager to create an exchange among them so that local Internet traffic may routed locally. Year 2004 – United Nations Development Programme (UNDP) took the initiative through the project named “Sustainable Development Networking Programme” (SDNP). With the help of some individuals and ISPs BDIX was established. From then more than 50 ISPs and Mobile/data operators got connected through BDIX. Well it is easy to guess what the benefits are. Local bandwidth remains locally. It means when one user from an ISP sends a files to another user in another ISP – the data does not need to travel out of the country. This keeps the International gateways free of data required to travel within the country. This saves the precious International Bandwidth. Another benefit is – very low latency. In case of local traffic – data first goes to the BDIX from the source ISP and BDIX routes the data to destined ISP. This is only a matter of 3/4 hops/nodes. This means data travels faster. One major benefit is – a huge data can be transferred among the the local users. Since ISPs can get high bandwidth easily from BDIX. Low Cost + High local bandwidth – causing most of the ISPs to get connected to BDIX. BDIX bandwidth is way cheaper than actual International Bandwidth. Moreover, ISPs are creating local FTP server – where they store a bulk of movies, songs, games etc – which used to consume a lot of International Bandwidth. Now users download movies, songs, games etc – but it doesn’t use International Bandwidth keeping that one for much important uses. ISPs are now able to offer very low rate for Internet subscription as they can serve more people with less International bandwidth. End Internet users are getting higher bandwidth at lower cost. A lot of local sites have emerged with live TV facility, Local FTP servers, game servers etc. Volume of Data is not a problem if it remains locally. We are developing our own local Internet through BDIX – and if for some reasons – International gateways are disrupted – we are less affected. Although International data transfer may be interrupted but local data communication will still remain running. 20,000 Taka for 1GB port. Please visit BDIX website to learn more about them. 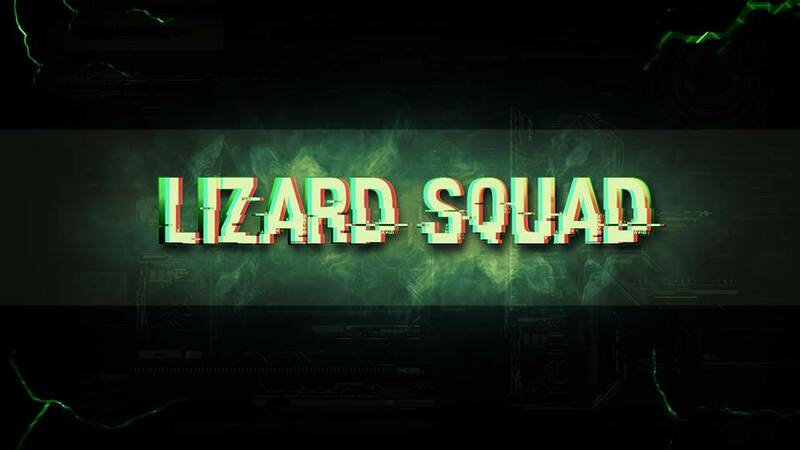 UPDATE: From further search on this issue I came to know that the famous Lizard Squad (Black Hat Hacking Group) is responsible for the Facebook down issue. A huge DOS attack has taken down Facebook, Instagram and other social media sites. Good News! – Viber, WhatsApp, Line, Tango etc have been Unblocked. These were blocked few days back on the ground of security issues. I checked this morning and all of these were working perfectly. This has happened when people were fearing ban on Facebook on same excuse. Hindi Movies will be screened in Bangladeshi theatres soon. Government has lifted the ban on screening Hindi cinema in Bangladesh. 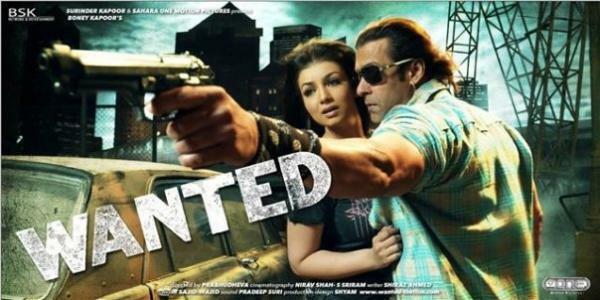 Prabhu Deva Directed Salman Khan’s Movie “WANTED” will be the first movie to be shown in Bangladeshi Cinema Halls. The screening may start right from next friday if the censor board permits. Three more movies – Three Idiots, Tarey Zameen Par and Dhoom3 are the next three movies waiting in the list. The debate on showing Hindi Cinema in Bangladeshi multiplexes has been going on for a long time. There are enough excuses for debaters of both the sides who oppose and talks for showing Hindi cinema in Bangladesh. People who are in favor of showing Hindi Cinema are telling that – it will save the cinema halls and create a competition with local movies – which ultimately will improve the quality of Bangladesh Cinema Industry. On the other hand – people who oppose are saying that – Hindi movies will destroy the in-house movie industry. They are also saying – Indian culture will destroy that of Bangladesh’s. Three more instant messaging and Internet calling software got blocked in Bangladesh – just one day after blocking another popular program Viber. From an unconfirmed source – I could learn that these are blocked till 21st January with an excuse of security concern. Although officials said these will be unblocked by 21st January – but many are fearing it will not be. The government blocked Youtube earlier a couple of years back. Many other Google services were interrupted due to this block. It took a long time for the unblock that time. Whatever the reason for the block the Government may provide – it is never accepted positively among the users. The new generation is highly dependent on these services – which are known to be famous for their free text messaging and Internet voice calls. Skype, Google Talk (Hangout) and Facebook calling services are still running fine but many are fearing blocks might be imposed on these too. A group of Bangladeshi hackers have hacked the website of BTRC. They did put a logo of theirs’ in BTRC website homepage. BTRC probably taken the site down immediately. The website www.btrc.gov.bd is still down ( 1am 19-01-2015). It has been referred from an unconfirmed source that – the hacking has taken place in protest of BTRC’s recent action on shutting down popular Internet calling services like Viber, Tango, Line etc. The Government of Bangladesh has blocked Viber and similar popular instant messaging and Internet calling services in Bangladesh. Bangladesh Telecom Regulatory Commission (BTRC) has sent a letter to all the mobile operators and International Internet Gateway (IIG) providers to shut the services of these services. 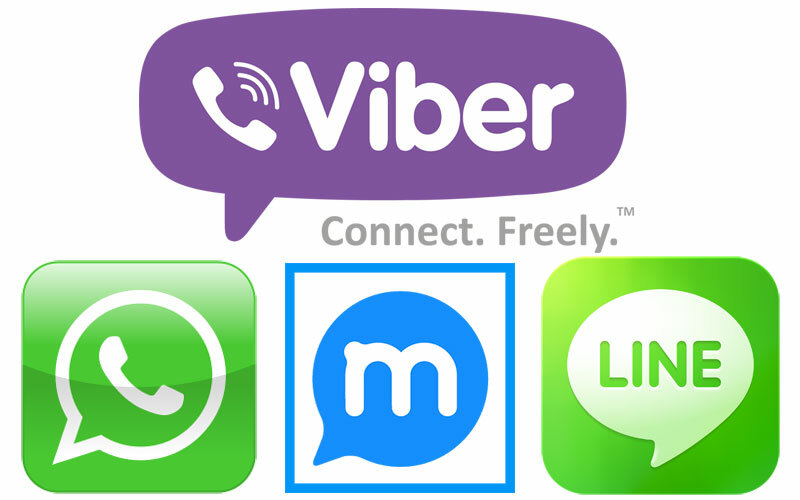 While most of the users of Mobile operators are unable to use these services – some other ISP users are still able to use Viber and those blocked services. If you are residing in Bangladesh and you are using Dropbox as you cloud storage solution – It is good time to switch to Google Drive. There are many other reasons why Google drive is preferable – but the most important of those is the network speed issue in Bangladesh. I would not start the debate on which one offers better service – or premium version of which one is cheaper (Although I will clearly put Google Drive ahead in this race). Many of the ISPs in Bangladesh offer higher speed (compared to actual Internet Bandwidth) for YOUTUBE. For example: someone with 2mbps Internet connectivity may get 10mbps speed when (s)he streams through Youtube. I am not sure how this higher bandwidth is supplied for Youtube, but as far as I remember reading a news which said Google to get some bandwidth from BTCL/BSCCL. Due to (whatever) arrangement Google had – people in Bangladesh are getting bandwidth in abundance when using Google services. This includes accessing Google Play store and Google Drive as well. I noticed I get way higher speed when I download attachment from Gmail as well. 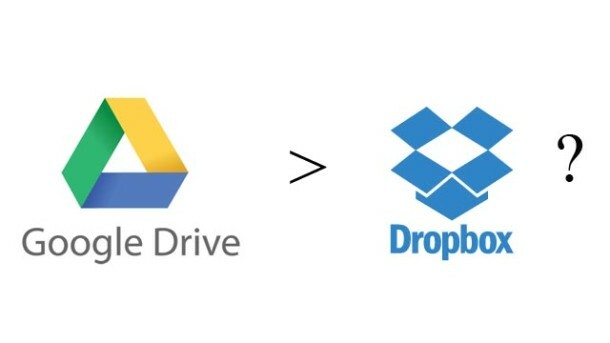 Therefore, if you switch to Google drive from Dropbox – you’ll get higher speed for Google Drive. File transfer will be much faster. THIS IS APPLICABLE IF YOUR ISP IS OFFERING HIGHER BANDWIDTH FOR YOUTUBE. Good news for Bangladeshi Internet users!! BTCL has further reduced the price of Submarine cable (SEA-ME-WE4) IP Bandwidth. Effective from April 1st – users will be able to get 1 Mbps (MegaBits/second) dedicated bandwidth at only Taka 2800 per month. It was Taka 4800 per month per 1 Mbps previously. This will be applicable to all BTCL customers (Home, corporate and Resellers). This surely will have a very good impact on the ICT sector of Bangladesh. But a lot will depend upon how the ISPs react to this new pricing. Surely they won’t cut the pricing by 41% and reduce their revenue as they have other operational costs. Rather they’ll probably increase per user bandwidth or give more GBs of data transfer to volume based Internet clients. This indeed is an appreciable initiative by the Government. I believe our new young ICT State Minister Mr. Palak has some influence in this. Bangladeshi mobile operators hold a major share of Internet distribution channel. It will be interesting how these mobile companies rearrange their Internet service offers after this price reduction. Most of the companies are selling 1GB volume at around 300 Taka which is sky high compared to BTCL Bandwidth cost. The real benefit of this price reduction will be ensured if the mobile phone operators reduce their Internet prices. Because – Internet through mobile operators are still the easiest way for general people to be connected to the Internet.